I guess by now you've done your embroidery & made your twisted cord? Hooray...you're ready to whip out the machine then. View more presentations from kootoyoo. If you do make a "scrubber" maybe you could add it to the flickr pool? 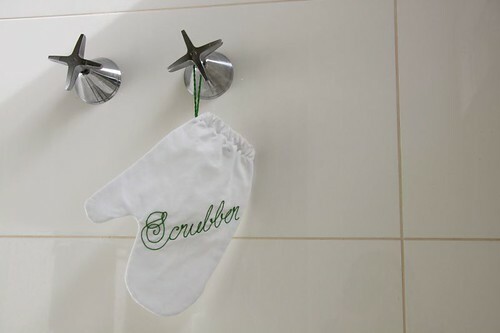 I'd love to see your take on the shower mitt. To make sure I don't miss it maybe you could add the tag scrubber. Great idea! I can envision a pin-up girl taking a bubble bath embroidered on one!